Newspapers statewide are recommending that voters pass California Chamber of Commerce-supported Propositions 1 and 2, which authorize funding for housing-related programs for veterans and homeless persons with mental health issues. If approved by voters, Proposition 1, the Veterans and Affordable Housing Bond Act of 2018, would authorize $4 billion in general obligation bonds for housing-related programs, loans, grants, and projects, and housing loans for veterans. Proposition 2 is a revenue bond that spends only revenue generated from Proposition 63 (2004), which provides for a 1% tax on income above $1 million (an estimated $2.23 billion in the fiscal year 2018–2019). This measure would authorize the state to use the revenue generated from Proposition 63 on $2 billion in revenue bonds to address the homelessness crisis in California for those suffering from mental health issues. There would be no additional taxes and no additional spending from the General Fund as a result of this bond. 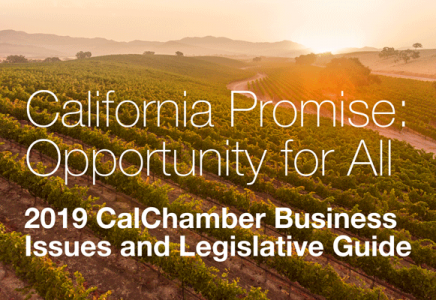 The CalChamber Board supports Proposition 1 because the housing supply and demand imbalance in California is having significant negative impacts on the state economy and businesses. The housing shortage is estimated to cost California approximately $140 billion a year—the equivalent of 6% of gross state product—and that does not include lost business opportunities or expansions forgone or relocations instituted by employers because they cannot recruit or keep workers in the state’s high-cost housing environment. Proposition 1 is projected to create more than 100,000 jobs associated with or indirectly related to the construction of new housing and inject billions of dollars back into the state’s economy. As this is a state bond measure, the costs associated with Proposition 1 will be spread over the entire California tax-paying population, thereby minimizing impacts on any one individual or business. The CalChamber Board voted to support Proposition 2 because the measure improves the economy by helping the homeless reintegrate and reduces public health care costs. Proposition 2 builds housing and keeps mental health services in reach for people. More than 134,000 Californians are homeless. It is estimated that as many as a third of the people living in these unsafe conditions are living with an untreated mental illness. If passed by voters, Proposition 2 will result in the construction of 20,000 permanent supportive housing units. This allows coordination of mental health and substance use services, medical care, case managers, education and job training to help people get the treatment and housing stability they need. Following are excerpts from newspaper editorials supporting Propositions 1 and 2.